With access to our complete course catalog, you can explore a variety of topics in the housing industry to improve your effectiveness and build career opportunities. On average, businesses lose $13.5 million per year per 1,000 employees due to ineffective training. As startling as this is, even more so is that those with less than 100 employees give managers 12 minutes of training every six months, and those with 100-500 employees provide just six minutes, according to the U.S. Bureau of Labor Statistics. Advance your career – If you are looking to advance your career in housing, it’s important to develop transferable skills. With an industry that is facing tight budgets and limited staff, you will be wearing multiple hats on a daily basis. Be sure to learn everything from how to handle resident conflicts, to preparing for a REAC inspection, and formulating rent calculations. Reduce costs and increase efficiency – Cross-training staff helps to reduce costs by leveraging talents for a variety of responsibilities. And, if somebody is out of the office, daily operations can continue to function when you have a back-up trained for each position. Improve operations – The most effective leaders are those who understand all facets of their organization’s operations. 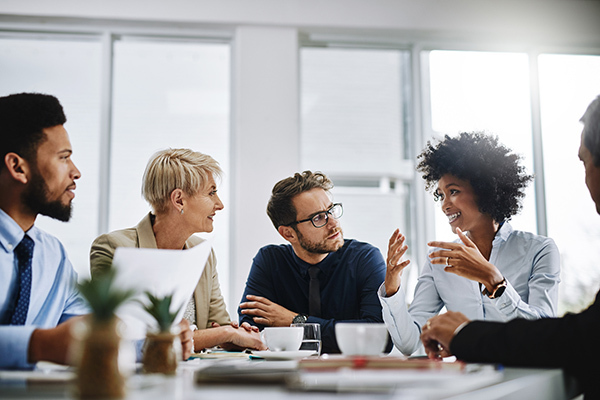 No matter if you are in human resources, maintenance, or an executive role, you will need to understand the responsibilities and challenges that each of your colleagues faces in working towards your organization’s success. HTVN subscribers not only have access to the entire course catalog, but they also get access to exclusive content in high demand topic areas, including accounting, Microsoft Office, maintenance, and human resources. 1 This statistic is reported from a 2018 survey by Udemy.